Former CMC volunteer, UF grad, and author Dan Berger is returning to Gainesville and the CMC Friday, Feb. 23 from 6-8 pm for a talk on prison issues. Dan is an assistant professor of comparative ethnic studies at the University of Washington Bothell. His work on race, prisons, media, and American social movements has appeared widely in popular and scholarly journals. He is the author of Captive Nation: Black Prison Organizing in the Civil Rights Era. 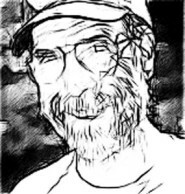 Berger is also the author or editor of three previous books:Letters From Young Activists,Outlaws of America: The Weather Underground and the Politics of Solidarity, and The Hidden 1970s: Histories of Radicalism. Perla Meissner [M], Holocaust survivor, was interviewed by Jessica Alpert [A] in September, 2005. This is the 45th in a series of transcript excerpts from the UF Samuel Proctor Oral History Program collection. M: I was born in a place [in the Czech Republic] called Munkatch on 11 February, 1926. My mother’s name was Yitta Bernstein. My father was Avram Shlomovic. We were three girls. I was oldest. My sister Rahel that I call Ruchi, three years younger, and I had one more sister a year younger than Ruchi who perished in Auschwitz – Elky. 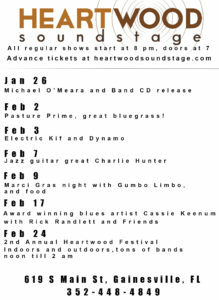 Heartwood Soundstage will celebrate its first anniversary on February 24 with the Heartwood Festival, featuring over 20 great bands, food vendors, and activities for kids including a bounce house. 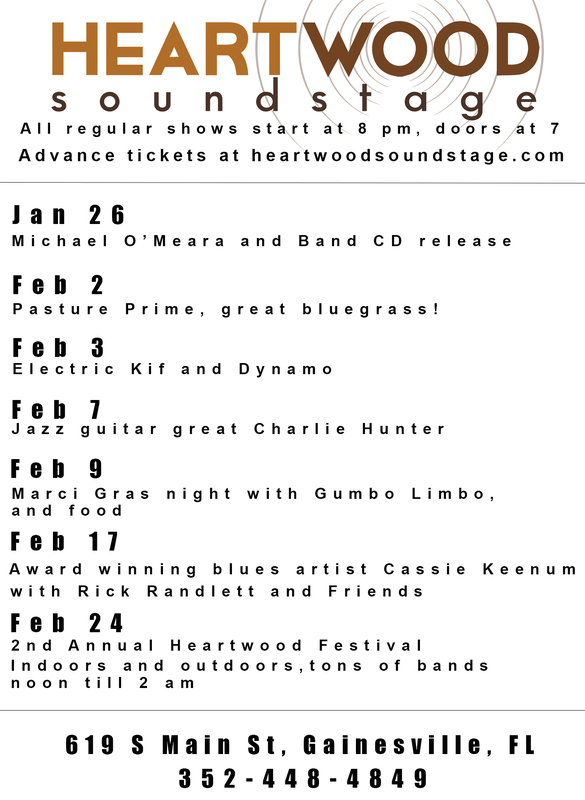 Heartwood has been a welcome addition to the Gainesville music scene, offering a top notch, intimate listening room that is connected to a state-of-the- art recording studio, video production, and live streaming capabilities. In addition, there is an outdoor area that can host festival-size crowds, just a few block south of the heart of downtown. The Changeville Music & Arts Festival is a space for artists doing good in the world to come together with the Gainesville community and create a new vision for what our world can look like. Every musician and comedian that plays Changeville, every VR experience or film that we showcase, is chosen because of its connection to social change. See http://changeville.us/ and the Changeville Facebook page for more information. Additionally all the music shows (see website, there are many great shows! ), Changeville will host a number of experts, influencers and artists in their Panel and Workshop Series listed next, focusing on aspects of activism that relate directly to artistry. Any Changeville ticket or wristband is requested for entry and can be shown at the door. It’s hard to believe there was a time when not all children had access to a free, public education in our country. Yet, up until the mid-1800s, public education was not widespread in the United States. Schools were largely privatized for wealthy children and poor children were sent to “charity” schools meant to teach them ways not to be social menaces. During this time in the history of our country, not everyone believed education was a necessity for all children, but long years of organizing and advocating brought quality education to most children in the U.S.
We must pass a County-wide Water Quality/Protection Ordinance (WQPO) on January 23 or much of the wise growth and conservation elements of the County Comprehensive Plan will be effectively gutted. On that evening it will be the duty of County Commissioners to uphold the November 2000 Charter Amendment 1 in which over 70 percent of voters, 46 of 53 precincts, entrusted its five elected officers with governance over the incorporated and unincorporated watershed and wetlands. This system nourishes hundreds of thousands of citizens in and around Alachua County, and millions across the State of Florida. If you have only enough time or motivation to attend one government meeting in 2018 in defense of our environment, make it Jan. 23, 5 pm, at the County Administration building. The stakes are high, and turnout could make the difference. Alachua County is a “charter county.” That means we have a charter, sort of like a constitution, that is the ultimate law on certain matters, and it can only be changed by popular vote. The Food Justice Study Group, coordinated by Florida Organic Growers (FOG), will meet February 22 from 6:30 to 7:30 pm at the Civic Media Center in downtown Gainesville. The meeting is free and open to the public, though FOG encourages anyone willing and able to make a donation to the Civic Media Center. The reading selections for the month include Garrett M. Broad’s More than Just Food: Food Justice and Community Change, published by the University of California Press in 2016. Please honor the Timucan People who once lived in this area by removing the Rodman Dam and re-naming Newnans Lake. It would allow the Ocklawaha River to flow naturally to give us the natural beauty and benefits the Timucan people of long ago enjoyed. It would allow once again the migration of fish and manatees. It would reveal and bring to life the 20-plus lost springs in the river that artist and environmentalist Margaret Ross Tolbert revealed to us with her community presentations about The Lost Springs of Florida. The restored area would be a jewel for our Ocklawaha River Watershed and a shining example for the State of Florida in the restoration of damaged natural environment. By removing the dam, nature will quickly repair the area. The watershed, the ‘Real Florida’ will then be a natural attraction and bring many eco-tourists, benefiting everyone — particularly local residents. Recognize and honor the Timucan People who once lived in this area by renaming Newnans Lake – Lake Pithlachocco as it was called by the Timucan People. A new state law requires school boards to appoint a “hearing officer” to hold hearings for any and every complaint filed against any book, video, etc., used in any pubic classroom. Climate change denialism, creationism, and “American Exceptionalism” advocacy group Florida Citizens Alliance, which promoted (and claims to have written) this law, already has volunteers (trained by a Texas tea-party-style textbook pressure group) in numerous counties. Knowing better than to provoke the formidable scientific and historical UF faculty, FCA has so far made no moves in Alachua County, but has begun a crusade against politically-incorrect facts in Marion County. See the Florida Citizens for Science blog at www.flascience.org/wp/. The Marion Couty report is at: www.flascience.org/?p=3016. The divestment movement across the country is growing. In city after city, the people are asking their city officials to take note: it’s time to divest our public money from fossil fuels, private prisons, and the disenfranchisement of Native peoples that allowed the Dakota Access Pipeline to be approved at Standing Rock. 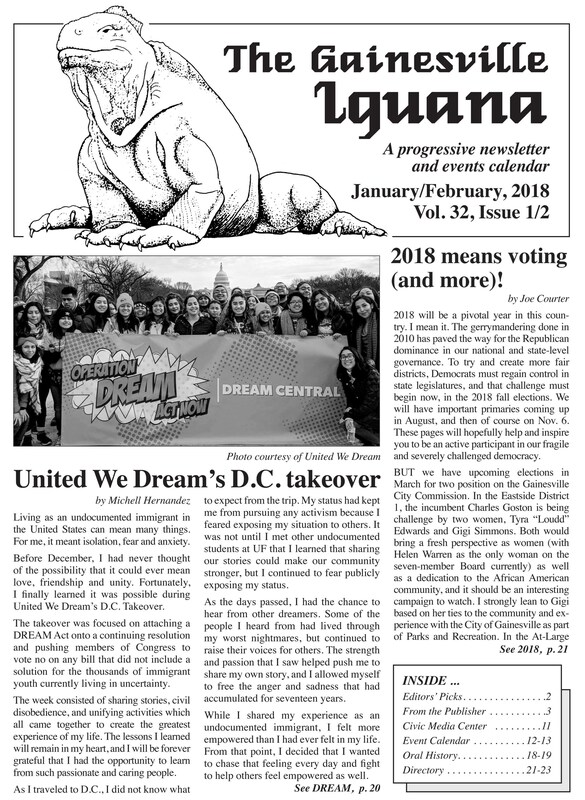 Earlier this year, Native organizers in the wake of Dakota Access re-energized the divestment and boycott movements ignited by civil rights activists decades ago, calling on our cities to pull their funds from the banks that fail our public values by funding pipelines and private prison and detention centers. In Seattle, organizers successfully campaigned for Seattle to withdraw its $3 billion in funds from Wells Fargo. Davis and Santa Monica, California, followed suit, and similar campaigns are now underway in numerous cities across the country. In honor of the 50th Anniversary of the National Trails System Act and the Wild and Scenic Rivers Act, the Florida Trail Association (FTA) is proud to present: the Wild & Scenic Film Festival (WSFF) on Saturday, Jan. 20 from 5 to 10 pm at the Swamp Head Brewery in Gainesville. This outdoor screening will offer a unique program of environmental and adventure films that illustrate the Earth’s beauty. They will show the challenges facing our planet and the communities working to protect it. Viewers will climb the highest peaks and trek across the globe with adventure films from around the world and witness how individuals and communities across the globe are taking action. On Tuesday, Jan. 2, the Civic Media Center hosted a presentation with two speakers from the Beehive Design Collective. 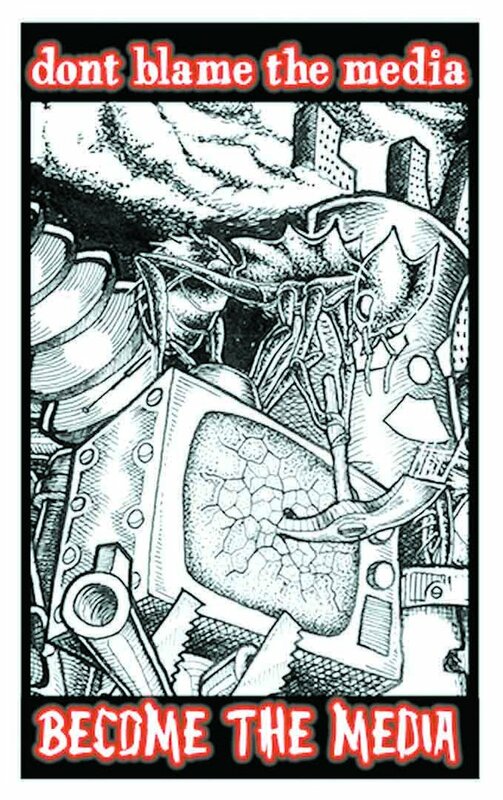 Beehive Design is a volunteer-driven non-profit arts organization that uses graphical media as educational tools to communicate stories of resistance to corporate globalization. 2. To cause to make a harsh grinding or rasping sound through friction. 3. To irritate or annoy persistently. In the past year as president, Donald Trump has been basically the same guy we anticipated he would be after seeing him in action over the decades, and especially on the campaign trail. For many reasons, which I will not go into here, this country elected a very unhinged and unstable man/child to the highest office in the land. There’s no surprises in Michael Wolff’s book Fire and Fury: Inside the Trump White House. It is the confirmation of what we all feared it might be like to have this self-promoting conman as Commander in Chief; the only surprise is that it took this long to pull back the curtain and reveal it. Women’s March Florida has planned four regional anniversary events to take place on Jan. 21 in Orlando, Jacksonville, St. Pete, and Miami. Chapters have been working non-stop since November to plan and prepare these events. You can expect exciting speakers on relevant subjects related to Women’s March Unity Principles, music, voter registration drive, and large crowds of allies marching again in solidarity for our vision of a country that is healthy, fair, and kind. 2018 will be a pivotal year in this country. I mean it. The gerrymandering done in 2010 has paved the way for the Republican dominance in our national and state-level governance. To try and create more fair districts, Democrats must regain control in state legislatures, and that challenge must begin now, in the 2018 fall elections. We will have important primaries coming up in August, and then of course on Nov. 6. These pages will hopefully help and inspire you to be an active participant in our fragile and severely challenged democracy. Courtesy of United We Dream. Living as an undocumented immigrant in the United States can mean many things. For me, it meant isolation, fear and anxiety. Before December, I had never thought of the possibility that it could ever mean love, friendship and unity. 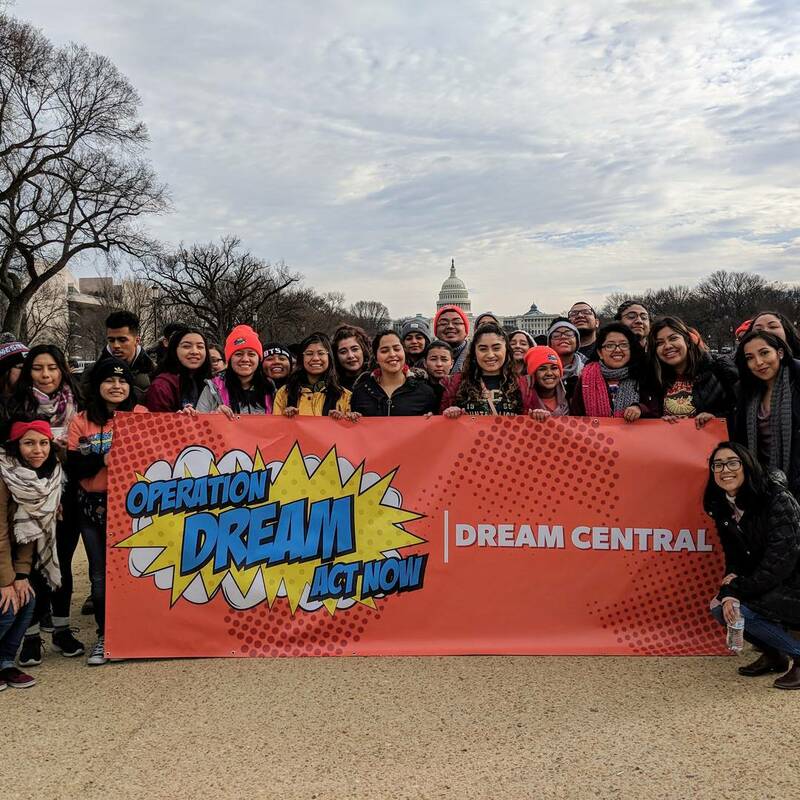 Fortunately, I finally learned it was possible during United We Dream’s D.C. Takeover. 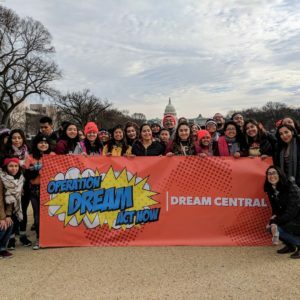 The takeover was focused on attaching a DREAM Act onto a continuing resolution and pushing members of Congress to vote no on any bill that did not include a solution for the thousands of immigrant youth currently living in uncertainty. 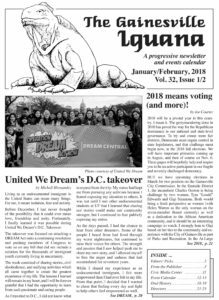 The January-February issue of the Iguana is now available! If you want to get your hands on a hard copy, check out our distro locations here.